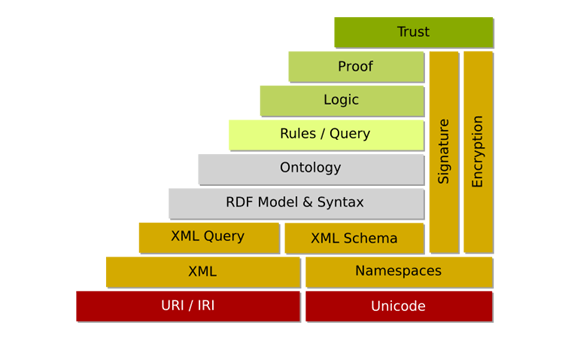 In Part 2 of this series we reviewed Unicode, URI, and XML - three foundational technologies that permeate the existing Web and that are especially relevant to the emerging Semantic Web. We will put all three to use as we take our next step up the Semantic Web layer cake in a review of the Resource Description Framework (RDF). At the same time, we will be taking the visual RDF/OWL editor, Altova SemanticWorks, for a test drive. Since I will be using this tool for the very first time, you can expect an honest review that is rich with screenshots. If you do not already have the software, you may wish to download the trial version now so you can follow along. Deadlines are fast approaching for those submitting papers, Doctoral Consortium applications and tutorial proposals for ISWC 2008! More information can be found here.